Spray the inside of the slow cooker with cooking spray. Pour the cherry pie filling in the bottom of slow cooker. Sprinkle the dry cake mix over cherries. Drizzle butter over top. Cover. Cook on high 3 1/2 to 4 hours. Serve with ice cream. This is a great dessert for the 4th of July. Serve the bright red cherries and creamy vanilla ice cream on a blue plate, and you have all the colors of our flag. You make this dessert in the slow cooker, so you don't have to worry about heating up your kitchen. It is a perfect recipe to have your kids make all by themselves! yum! I do this with canned pears cut up small with cinnamon cake. Never thought of canned cherries! I will be trying this one! Diane, make your own pie filling using the frozen cherries. I would be delicious! JeriLyn, I do the same thing with the pears. I guess great minds think a like. LOL! Every time I use cherry pie filling I think of Dave. That man loved cherry pies! I still miss him! The cherry addict I am loves this! Easy and a perfect dessert for anytime! I've never made dessert in the slow cooker and it's time to try it with this recipe! Hello Linda .. It is our Canada Day today so I am heading off to get my Java fix today... Hope you have enjoyed your card by now and if not how about on your Independence Day...Happy Holiday.. I loved this recipe. Congratulations. Kisses, Marta. Have a nice weekend. Happy 4th of July Weekend! I have made this cake so many times but never thought to do it in my crock pot...good call! And your slow cooker dump dessert looks wonderful! Bookmarking this to try. Thank you! Wow! Your dessert looks really unique, Linda! Happy 4th! 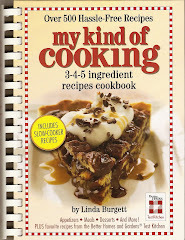 Linda...It has been forever since I have had dump cake...I'll have to try this one. Have always oven-made "dump" cake with cherry pie filling, crushed pineapple, coconut and pecans.....will have to try it in the crockpot ! This looks really really good. Which size crockpot did you use? 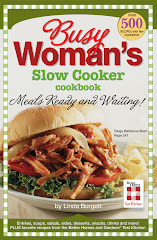 I used a four quart slow cooker to make this recipe. I like mine with pecans.. I guess my crock pot needs to be replaced. Made the peach cobbler version and all the cake mix burned. The middle was tasty though. Yummy, but how would it be if you substituted chocolate cake mix?